Our favorite hand tool. Available in right and left hand models. Right-hand and left-hand hoes available!! 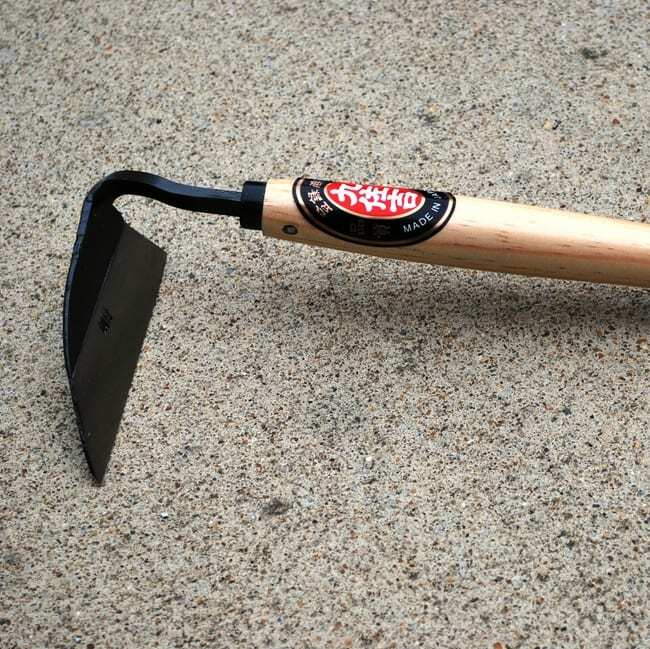 The Japanese Hand Hoe has become our favorite hand tools. 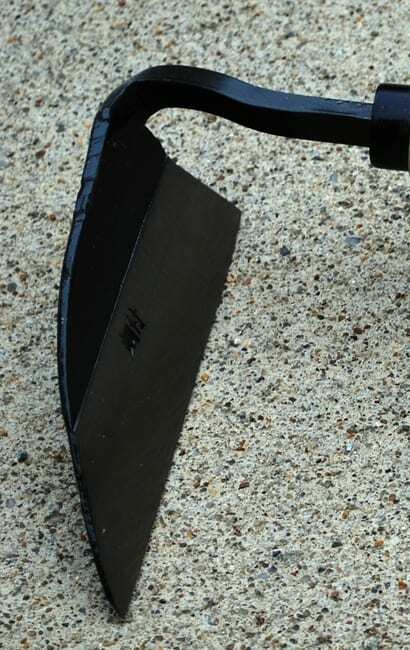 The combination of the angle of the blade and the sharp edge helps to make quick work of most weeding tasks. It takes out carpets of weeds in one swipe! We use it most often in newly planted beds that have not been mulched yet. 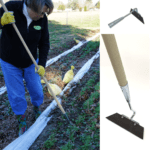 They quickly get covered with little weeds and this tool allows us to get right next to our seedlings and swipe away the unwanted weeds. This is the best garden tool I ever had! I love your garden hoe too but sometimes you want to get down and close up. Worth every penny! Well I have to say this is one product that lives up to it’s description. 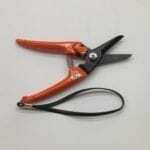 Both the Wife and I have used this in our flower gardens and it made to work easy. 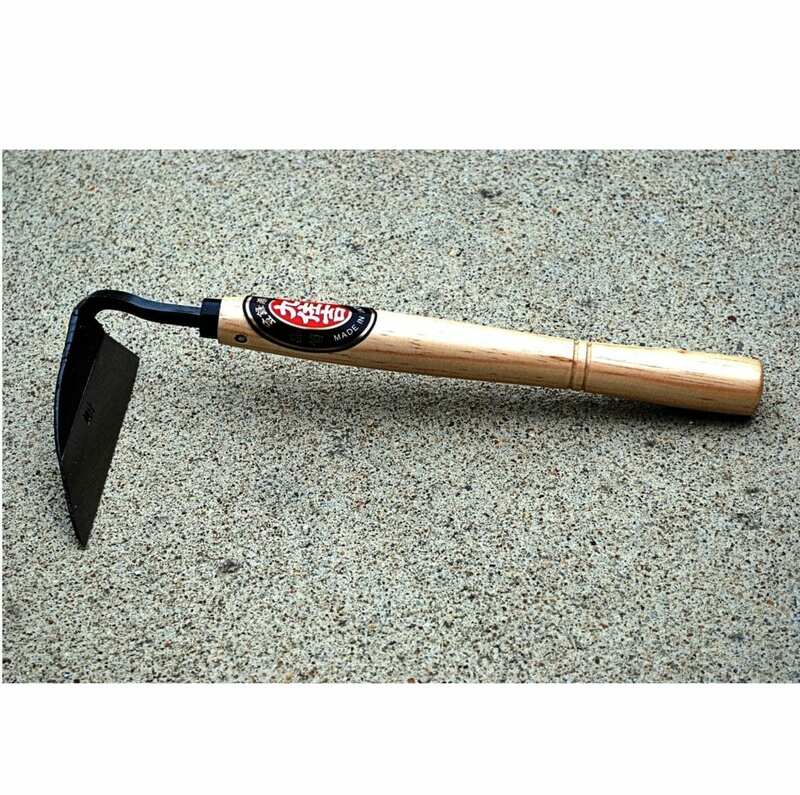 Much easier to use than a regular hand hoe. I all wish for now is that sometime they come out with a longer handled version of this hoe. This tool is great for everything you could possibly do in the garden. It’s wonderful at loosening the soil for hand weeding, and I even use it for digging holes for bulbs and little plants. Love this tool!